Lloyd Voges has painted intermittently since childhood, without formal training until 2003, when he became a student of Richard Skurla. As owner of the Silver Maple Gallery, Skurla shared access to his methods and connected Lloyd with other artists with whom he also studied. Since 2009 Lloyd has directed his focus full time to working in his studio. 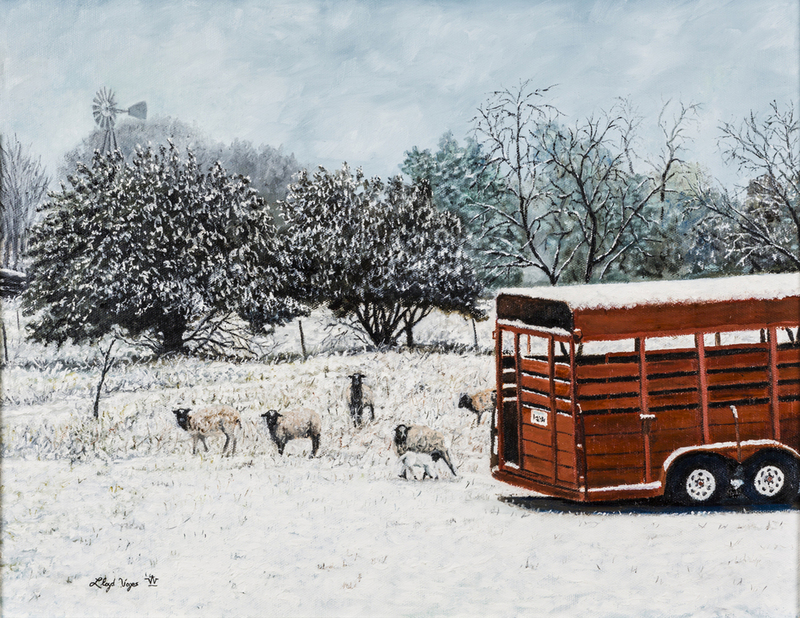 Raised in a family dedicated to preserving the farm and ranch lifestyle, Lloyd's love for the outdoors is particularly evident in his latest compositions. Lloyd and his wife, Teresa enjoy every opportunity to visit other ranches when they are not working on their own. They are admirers of architecture and visit historical towns throughout Texas. This gives Lloyd the inspiration to paint outdoors and to paint older structures in different light and angles using colors and values to bring the buildings to life on the canvas. 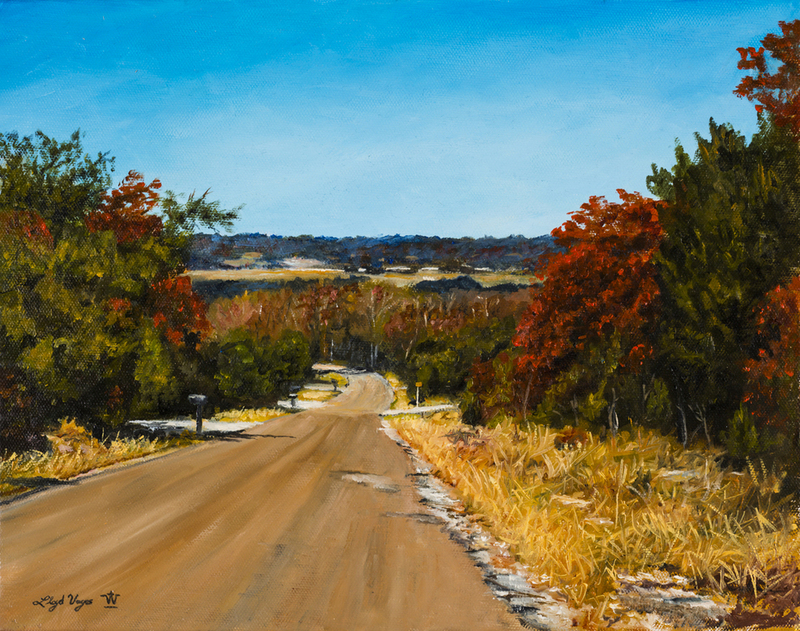 Lloyd's choice of medium is oil and he uses a wide variety of brush strokes and palette knife techniques. 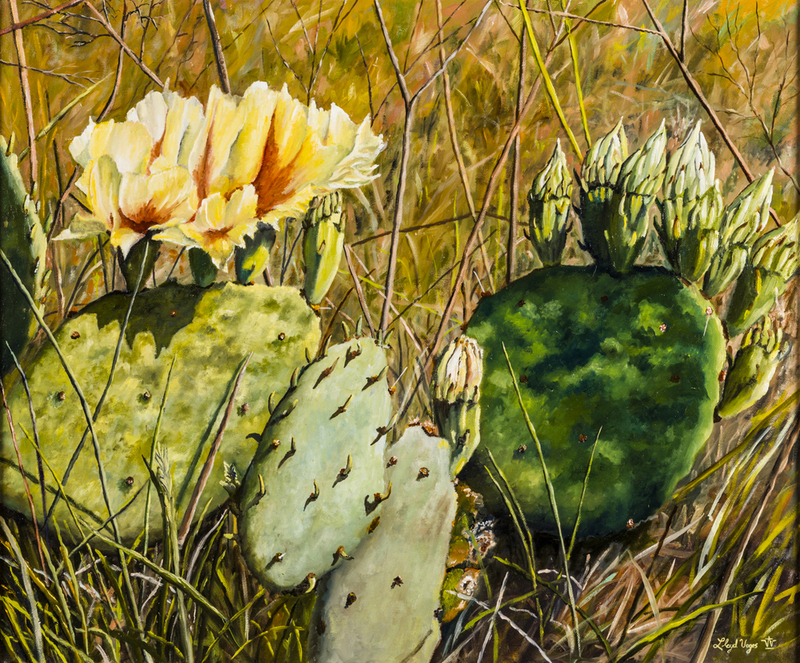 Lloyd's compositions have been in several juried shows throughout Central Texas in which he has placed first, second, third, honorable mention, and artists' choice. Since 2009 Lloyd has served as a juror for the Region XII Visual Arts Scholastic Event Invitational for the Central Texas area. 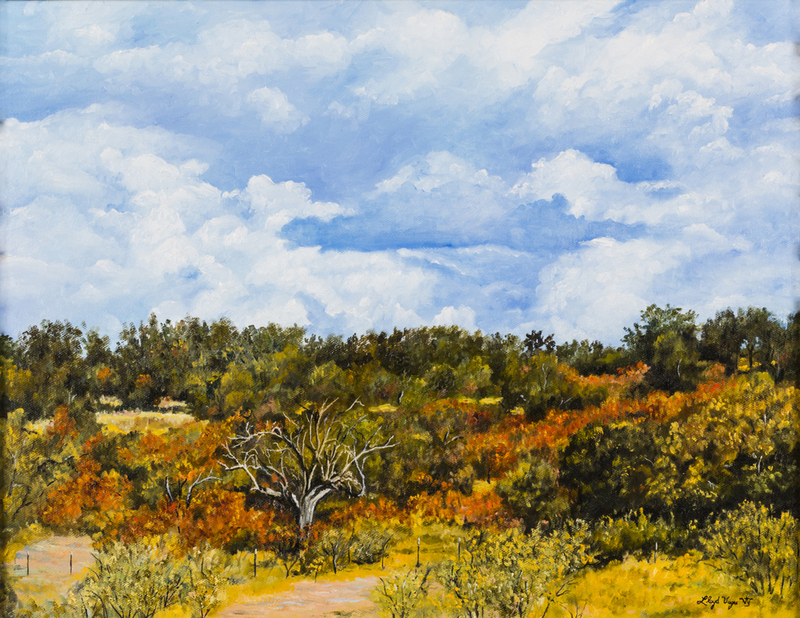 Lloyd has also been a judge for the Bosque Arts Center Club in Clifton Texas, of which he and his wife are now members. Lloyd is a member of the prestigious Western Artists of America and Western Associates.